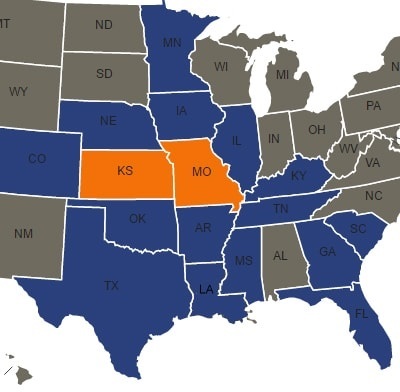 If the floor in your Kansas City home or business is not level, it is probably caused by the soil beneath the foundation. Due to fluctuating moisture levels, a building's foundation can shift and settle over time. This shifting of the soil leaves voids beneath the foundation, causing the floor to become uneven. Don't let your uneven floors go without being repaired. If ignored, further damage to your structure will occur and the value of your home or business will decrease. 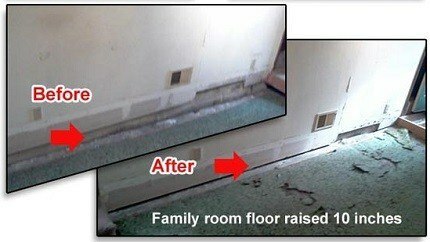 Let the professionals at Polyjacking.com give you a free inspection and find the solution to your floor leveling needs. The process of polyjacking involves the injection of a high-density polyurethane foam. With the appropriate poly equip and trucks, the installation process is relatively simple. A small hole is drilled through the affected slab. With our specialized system, the polyurethane foam is injected into the void that is beneath the floor. This foam will expand to fill the entire void. This will raise your floor back to its original level. After the injection is completed, the holes are filled and the site cleaned up. Polyurethane foam has a short hardening time so your floor is ready for use about fifteen minutes after application. Polyurethane is impervious to water so it will prevent future erosion problems. This method of floor leveling is more efficient, more economical, and faster to complete than other methods of floor leveling. For any of your concrete repair needs, contact Polyjacking.com today!